The USC Asian Pacific Alumni Association (APAA) recently celebrated its 35th Anniversary. University president C.L. 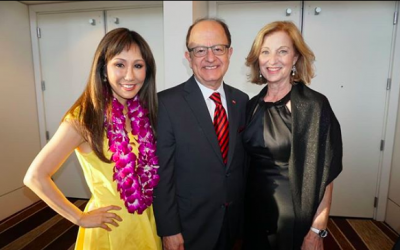 Max Nikias attended the Awards Gala with his wife, Niki C. Nikias, to celebrate alongside organization members, and to meet some of the 100 young men and women who benefit from APAA scholarships. The Trojan Marching Band, led by its Trojan warrior in full regalia, led hundreds into the medieval Tuscan village. You know, the type of medieval village with a Starbucks, Trader Joe’s and lodging for 2,500 students. “Let’s follow them!” a woman shouted from the crowd. 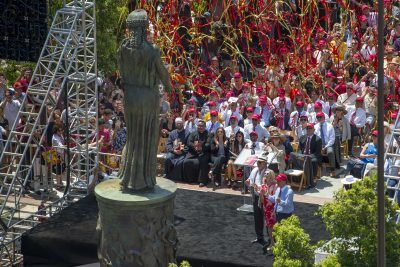 USC Village, the university’s massive development at the corner of Hoover Street and Jefferson Boulevard, officially opened to the Trojan community Thursday on the same day as the annual new-student convocation. 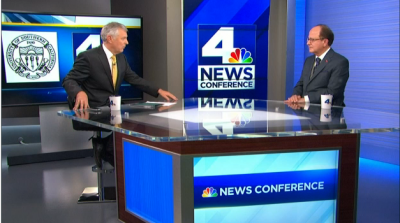 The competition for biotech investment is escalating, and USC President C. L. Max Nikias wants to make sure Los Angeles emerges a winner. 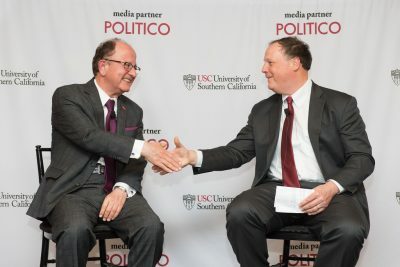 “Los Angeles finds itself falling behind in the race for the future of this increasingly important industry,” Nikias told attendees of USC’s Business of Biotech event, which recently brought together community, business and university leaders. The USC leader envisions a biotechnology park in east Los Angeles on the Health Sciences Campus. The development could provide thousands of construction and biotech jobs. 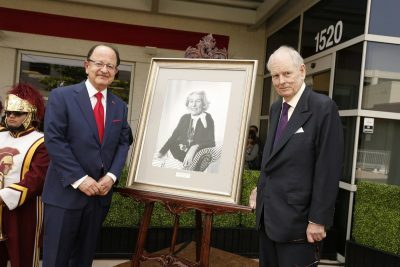 The W. M. Keck Foundation is giving $10 million to support a USC Health Sciences Campus facility critical to advanced patient care, expanding upon the foundation’s longstanding and transformative support to the university. Nearly two years ago, NBC4’s Conan Nolan spoke to USC President C.L. Max Nikias. 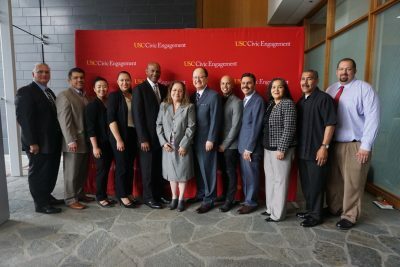 On May 14, 2017, Nikias returned to provide an update on a wide range of topics including USC Village, national rankings, fall admits and diversity and inclusion. The USC Pacific Asia Museum hosted its annual gala on Saturday, June 10, 2017 at the Langham Huntington Hotel in Pasadena. 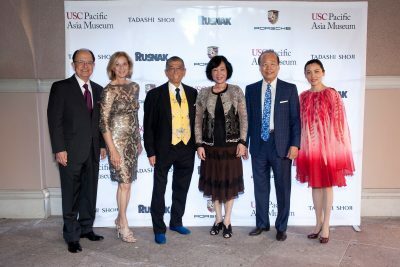 The gala honored Legacy Award recipients Dr. Tei-Fu Chen and Dr. Oi-Lin Chen of the Chen Art Gallery, for their promotion of Asian art and culture through their gallery collection. 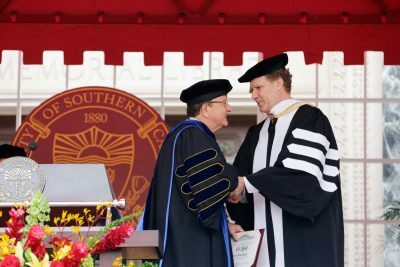 Will Ferrell ’90 has long trod the sidelines of USC football games, led the team onto the field of battle and returned for campus events on behalf of charities like Cancer for College. But none of the more than 60,000 people attending USC’s 134th commencement Friday knew quite what to expect when one of the university’s most famous alumni took to the stage. 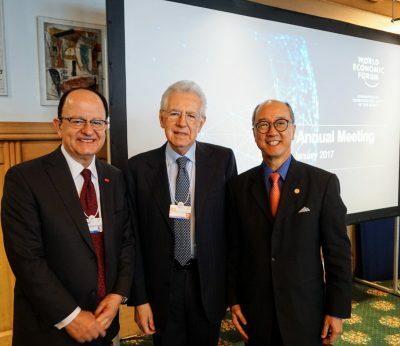 USC President C. L. Max Nikias returned to Los Angeles from Davos, Switzerland, after attending the 2017 annual meeting of the World Economic Forum (WEF). The annual gathering brings together industry leaders, policy makers and heads of state from across the world. Discussions focused on a theme of ‘responsive and responsible leadership’ and examined topics such as globalization and the societal impacts of key technological advances. 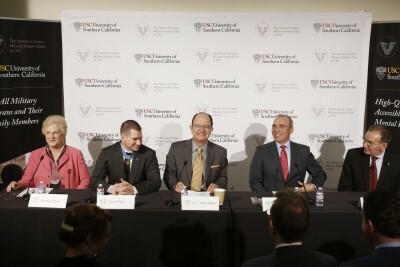 The grand opening of the Steven A. Cohen Military Family Clinic at USC celebrated a vision aimed at bringing the highest quality of mental health care to Los Angeles’ veterans and military families. The downtown Los Angeles clinic was made possible by a $15.7 million grant from Cohen through his nonprofit Cohen Veterans Network. It offers free care to veterans and their families who are suffering from post-traumatic stress, mood disorders, substance abuse and other mental health issues.